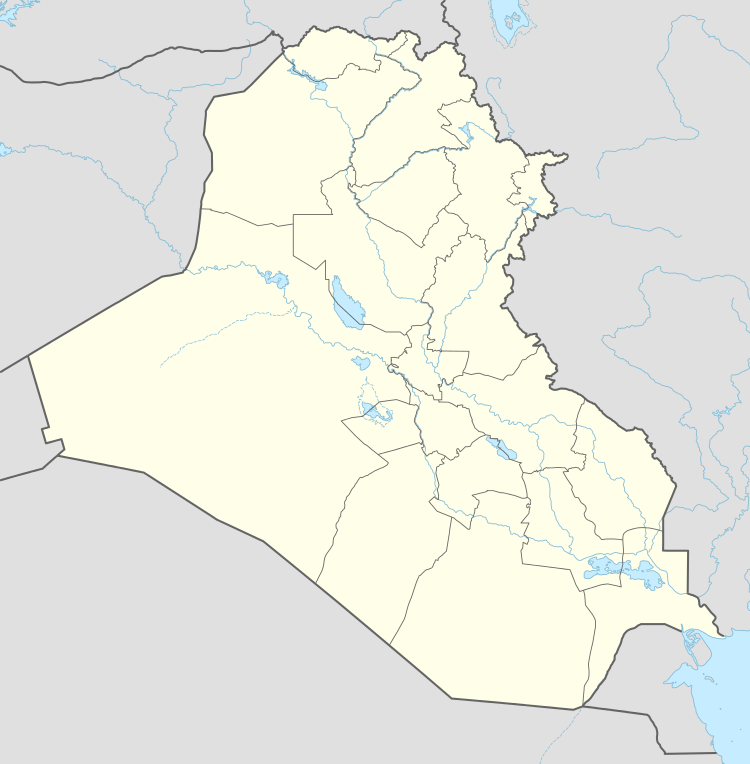 Location of Balad, where the attacks took place, in Iraq. On 13 May 2016, a group of militants, armed with AK-47s, attacked a cafe in Balad, Iraq, frequented by supporters of the Spanish Real Madrid football club. The Islamic State of Iraq and the Levant (ISIL) claimed responsibility for the attack. At least 16 people were killed and at least 30 were wounded. On 29 May 2016, ISIL gunmen and a suicide bomber attacked another Real Madrid fan club in the same area, killing at least 12 people and injuring around 15. They were attacked while watching the 2016 UEFA Champions League Final. During the first attack, around 50 fans of Real Madrid were gathered in a café in Balad, to discuss their arrangements for their favourite team's upcoming football match, when six armed men stormed into the café and started to shoot at the young men. At least 14 people were killed outright and two more died of their wounds later on. More than 30 people were injured. In its claim of responsibility, ISIL said, the attack had targeted Shia militiamen, making no mention of any connection to Real Madrid. However, a statement from Real Madrid said, 16 members of a supporters club had died in the attack. The attack was condemned by soccer fans around the world. The Real Madrid football club itself expressed "great sadness" and offered its "regards and condolences" to the families and friends of the victims. Real Madrid players wore black armbands for their away game against the Deportivo football club, on 14 May 2016, as a mark of respect. The team also honoured the victims by observing a moment of silence before their match. After the second attack, Florentino Perez, the club president, dedicated Real Madrid's win to the fans that were killed, and other Iraqi club fans, including those killed by ISIS. Alaa al-Hashemi, the Iraqi ambassador to Spain, thanked the club and invited the president to visit Iraq. ↑ Jones, Stephen (13 May 2016). "ISIS massacre 16 Real Madrid fans at supporters club". Retrieved 31 May 2016. 1 2 "IS militants attack Iraq cafe used by Real Madrid fans - BBC News". Retrieved 31 May 2016. ↑ "ISIS gunmen kill 12 Real Madrid fans as they watch Champions League". Retrieved 31 May 2016. ↑ "Real Madrid Mourns Soccer Fans Killed in Attack on Cafe in Iraq". Retrieved 31 May 2016. 1 2 "Real Madrid players pay tribute to Iraq fan club members killed by ISIS". Retrieved 31 May 2016. ↑ "ISIS kill 14 Real Madrid fans. • /r/soccer". Retrieved 31 May 2016. ↑ "Official Announcement - Real Madrid CF". Retrieved 31 May 2016. ↑ "Real Madrid players to wear black armbands as a mark of respect for Iraq massacre". Retrieved 13 May 2016. ↑ Mamoun, Abdelhak (30 May 2016). "Iraq thanks Real Madrid and invites its chairman to visit Baghdad - Iraqi News". Retrieved 31 May 2016.